December, 2001 / Captain W. Russell Webster / Comments Off on Too Tired to Tell? Are some key Coast Guard decision makers too tired to know they are operating beyond their own personal limits of endurance? When these people operate in their personal “Red Zones” for fatigue, what are the consequences for life and death Coast Guard search and rescue (SAR) services? One group of watchstanders’ sleep and activity indices was being closely monitored when their unit was called upon to kick in to high gear and respond to the 1999 Egypt Air flight 990 tragedy. This paper examines the routine and not-so-routine life of one group of senior Group Operations Center (OPCEN) watchstanders in one of the Coast Guard’s busiest operational shore commands. It also makes recommendations to improve critical Coast Guard services to both recreational and commercial mariners. The pace of operations at Group Woods Hole, Massachusetts is high throughout the year. On average, 1,250 rescue and 1,500 law enforcement cases occur within its 3,000 square mile area of responsibility each year. From 1998 to 2001, Group Woods Hole and its 14 subordinate units saved between 60 and 110 people and preserved more than 5 million dollars in property each year. Group Woods Hole was twice at the center of international and national media attention in July 1999 when JFK JR’s airplane crashed seven miles southwest of Martha’s Vineyard and again in the late October – early November timeframe when Egypt Air flight 990 crashed 60 miles south of Nantucket. Typically, each Group has one staff duty officer (SDO), a professional SAR-trained CG petty officer with seven to 15 years’ experience. They stand a 24-hour watch and perform a variety of functions from the mundane to the critical including: answering phones; receiving reports of aids to navigation discrepancies; advising the public about the outages; responding to media queries; and coordinating search and rescue cases in response to urgent radio distress calls. This coordination sometimes includes lengthy investigative work, the development of search plans, assignment of appropriate rescue resources, coordination with multiple agencies and comprehensive case documentation. 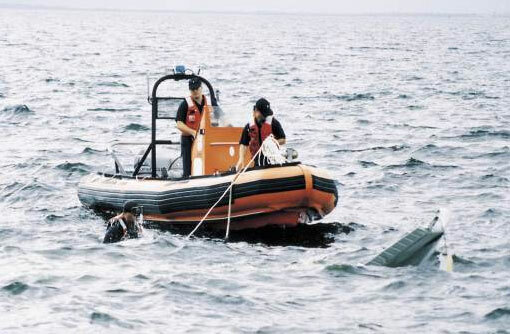 3 They also investigate and determine which cases are real SAR cases and which are hoax or false distress calls, which average 30 percent of the SAR case load each year. The Group Woods Hole SDO is assisted by a relatively junior telecommunications watchstander (TCOW) with 2-5 years experience, who is in a 12-hour watch cycle. The TCOWs are ever vigilant in monitoring multiple distress radio frequencies and are not authorized to sleep during their shift. During an average 24-hour duty day, the SDO’s duties inhibit regular prolonged sleep and rarely allow more than four hours of continuous sleep, even during the slowest of workdays. Phones and radio calls occur 24 hours a day and often require some degree of analysis beyond the capabilities of the younger, less experienced telecommunications watch standers. But, when the SDOs do sleep during their 24-hour watch period, their companion junior TCOWs are technically “minding the helm” and the trip wire for all CG missions. SDOs complain they spend their entire first day off after a busy 24-hour watch recuperating in a near vegetative state, often “reliving” and self critiquing decisions they made during the previous day. Watch personnel also complain that they begin mental preparations for their next watch on their third day off, constructively giving them only 24 hours off between duty days. The Groups OPCENs’ Personnel Issues in the context of the Service’s Larger Dilemmas. Group Woods Hole’s requests for more SDOs were considered by a service that at 36,000 personnel is the same size it was in 1967 while driven by many new missions acquired over the last three decades. These new missions, including: drug interdiction, alien migration intervention operations, enforcement of fisheries laws, assisting in the disentanglement of rare Northern Right Whales, and oil spill prevention and response, have created an incredible demand on the service and its people. The Endurance and Fatigue Study. At Group Woods Hole, the dilemma was how to prove that the problem was real, to get the people necessary to perform this critical work, and retain high performing decision makers in a service that had many important personnel shortfalls? Group Woods Hole collaborated with the CG’s Research and Development Center, Groton, Connecticut, the service’s center of excellence for innovative analysis and product development. Members from the two commands formed a working a group, which identified the need to document the impact of the 24-hour watch schedule on Group Woods Hole’s OPCEN SDOs. R&D staff designed a research protocol to monitor the sleep and activity indices of the four senior OPCEN SDO personnel who stood the 24-hour duty cycle as well the eight junior telecommunications specialists (TCOWs) who stood a 12-hour rotation. The study began in mid-October 1999 and proceeded for a planned 30-day trial. It was originally designed to capture the impact of the relatively low fall operations tempo of CG activities on the SDO watch standers who stood the 24-hour cycle and to compare their performance with those TCOWs standing the 12-hour shift. sensor and a real-time clock. WAMs can detect accelerations associated with physical activity from 0.5 to 3.2 Gz and compare each signal against a voltage threshold of detection. 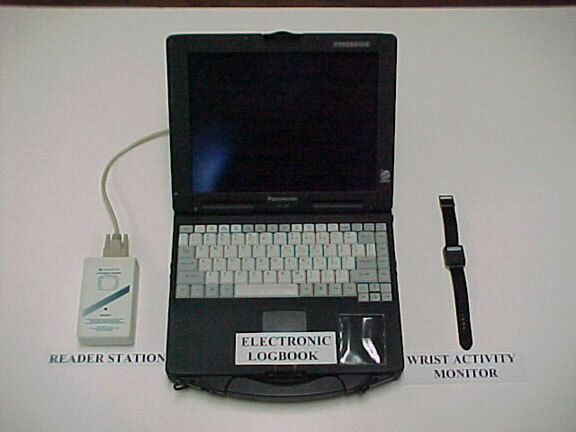 Software has been developed and validated to determine sleep onset, duration, and quality of sleep from activity levels measured with these units. 3) Percent of sleep periods less than six hours. Coincident with the study, Group Woods Hole and its OPCEN personnel were thrown into the midst of the fast paced, nationally televised Egypt Air 990-recovery operation 31 October – 8 November 1999. Thus, the study was able to document sleep and activity profiles from watch standers in both the 12 and 24-hour watch cycles during a slow OPTEMPO environment and during full-scale emergency operations. During the Egypt Air 990 recovery operation, Group SDOs who stood a 24-hour cycle often suffered acute periods of sub-optimal performance because they were unable to sleep for any period of time. 12 However, the eight junior telecommunications TCOW personnel assigned to Group Woods Hole easily transitioned from the low operations tempo environment to the fast pace of a major disaster’s response with no degradation in performance! Group Woods Hole’s complement of eight junior telecommunications watch standers is unique in the CG and was precipitated by the March 25, 1990 tragedy where a radio hoaxster misled CG personnel to evaluate his call as the same as an earlier legitimate distress call. Two fishermen died as a result. The CG changed its procedures for evaluating suspected hoax calls and four additional radio watch standers were assigned to Group Woods Hole. Most other Groups have far fewer radio watch standers. The Group Woods Hole-R&D Center Study also suggested that each Coast Guard OPCEN should be staffed with seven senior level SDOs based on endurance management concepts and the relatively seamless transition made by the eight junior telecommunications watch standers once the Egypt Air 990 disaster response had begun. This would mean that current Coast Guard initiatives which plan for the addition of one permanent senior watch stander, bringing the total to five, 13 are far short of the recommended seven. Group Woods Hole now augments its SDOs with other staff members who perform SDO duties in order to maintain the current one-in-four watch rotation. These staff members’ duties, such as the Assistant Operations Officer, Communications Officer, and Law Enforcement Officer are left undone during the time when they fill in for the SDOs. Recommendations. The Coast Guard’s leadership needs to remain focused on its “bread and butter” Search and Rescue (SAR) mission and staff its key hubs of decision-making to accommodate high operations tempo activities. Existing plans to add just one additional SDO are geared for low tempo operations and are inadequate and will not consistently provide for a 12-hour TCOW and 12-hour SDO watch in field OPCENs. Group OPCENs are the fundamental operational epicenters for near-shore Coast Guard activities and provide critical services to the American Public day-to-day. 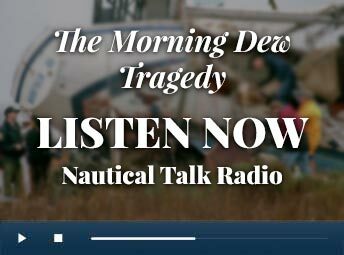 The Groups and their units are often the first federal entity to respond to most major maritime disasters such as oil spills, airline crashes and ferry collisions and groundings. By providing each OPCEN sufficient personnel for high tempo operations, the Coast Guard will be adequately staffed for the most difficult times and honor its commitment to the mariner. It will also provide a rewarding job experience for those entrusted with making life-and-death decisions and provide enhanced job satisfaction and greater retention rates for these key personnel.